Aphrodice MUTANGANA, social entrepreneur, kLab General Manager( www.klab.rw) , a tech innovation space in Kigali ,he Founder and Managing Director of FOYO Group Ltd, www.foyo.rw , a company that designed and developed Foyo M-health mobile application and www.napteker.com which is an African online systematic pharmaceutical directory that provides education and information to its users on important issues pertaining to drugs in Africa, such as dosage, drug & food interaction and side effect etc. Information on the platform is classified by country in the first phase, free of charge, focusing only on Africa, an interactive, user friendly platform. Initiator of tech Support Incike initiative www.incike.rw , which is a mobile crowd funding that had been used to address one of the problems faced by a portion of survivors of the 1994 Genocide against Tutsi, locally known as “INCIKE”. These are people, whose family members were all decimated during the Genocide, and they are left all alone today and they are more than 70 years old. 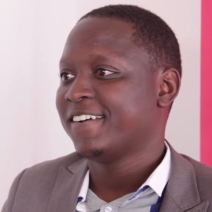 Initiator of idea, www.mutangana.rw , good idea for great entrepreneurs, people share business ideas, successful people with their strategic advice and more than 45 crowd funding online platform that will work as a source of startup capital which is a big issue in our developing countries. Member of Global Shapers, Kigali Hub and Member of Private Sector Federation/ICT Chamber. Co-founder of WeareAfrican http://weareafrican.org/ an open online discussion forum platform where people from all the corners of the world can share ideas/homegrown solution of what has to be done in African countries. Claire is a Co- founder of Refugee Girls Need You; an initiative that empowers young women refugees by enabling opportunities, which will expose them on skills that will help them to, dare dream and have goals for their future life as well as improve their lifestyle. She represents a Technovation Challenge program in Rwanda as Master Educator and the Regional ambassador, the program challenges girls all over the world to build mobile apps that will address a community problem. 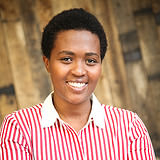 She is a board member of Girl in ICT Rwanda (www.girlsinict.rw) and she coordinates the sponsors (fundraising). She is a Department of State Alumnae through a US department of education and cultural affairs sponsored program namely Techwomen. Techwomen program placed in different Silicon Valley companies 78 women from across MEA region out of originally 1800 applications received. Claire is a senior software engineer at Rwanda Development Board where she supports government application at National level. She has a Master’s of Science in Information Technology at Carnegie Mellon University in Rwanda and Bachelor degree in Computer Engineering and Information Technology from University of Rwanda college of Technology. She is Oracle Certified Professional Java SE 6 Programmer." Lucy Mbabazi is Country Manager at Visa Rwanda overseeing operations in Rwanda, Burundi and Malawi. Prior to this role, she coordinated the implementation of Visa – Government of Rwanda (GoR) Public Private Partnership initiatives 2011 – 2015 established to lay the foundation for digitization of Rwanda’s economy and grow financial inclusion. Lucy was also part of a team of seven who led the mVISA pilot in Rwanda. Prior to Visa, Lucy served as Policy and Strategy Advisor to the Head of Information Technology at Rwanda Development Board (RDB/IT). RDB/IT is the coordinating and implementing body of all Government of Rwanda information and communication technologies (ICT) initiatives. Notably, Lucy led the development of Rwanda’s 2011 – 2015 National ICT Plan whose initiatives are contributing better services delivery and Rwanda’s move to become an ICT driven society. Lucy is President of Girls in ICT Rwanda – a group of women professionals working together to inspire more Rwandan young women to pursue S.T.E.M careers. 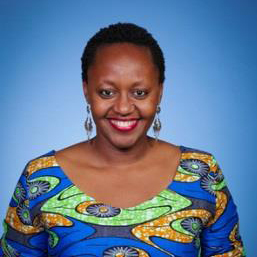 Lucy also serves as Vice Chairperson, Broadband Systems Corporation (BSC) board and Rwanda Information and Communications Technology Association (RICTA). Lucy holds a Bachelor of Science in Information Technology from Laroche College and a Master of Public Policy from the Harvard Kennedy School of Government.